Confusing, right? To be on the safe side, I consider hunting season to run from early October until mid-January. 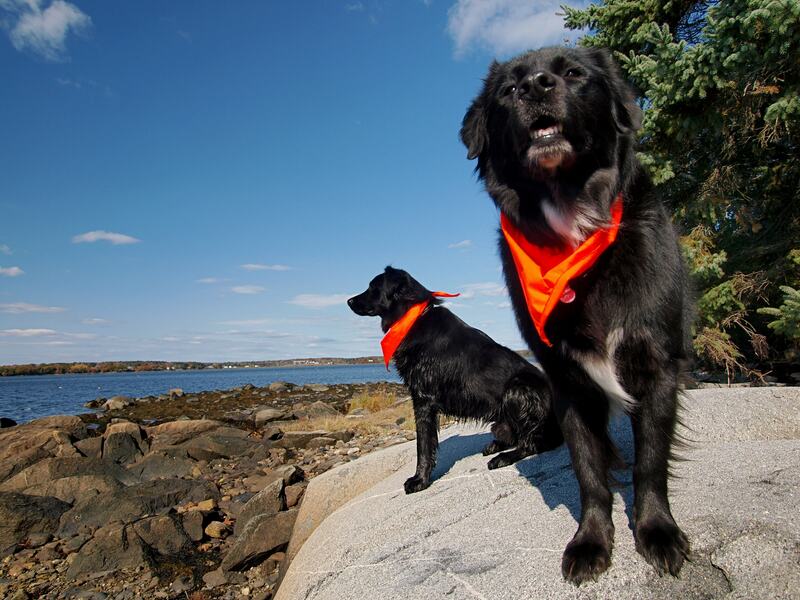 The single most important precaution you can take during hunting season is to make sure you are visible by wearing bright, blaze orange. Your orange should be visible 360° around your body, from all angles. I have a blaze orange jacket and a bright orange backpack specifically for fall hiking. 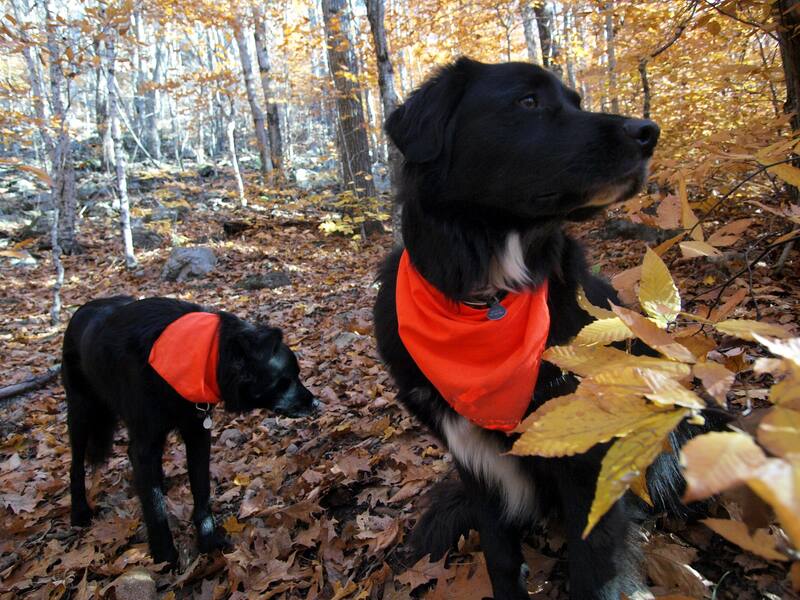 You can buy cheap blaze orange vests at any store that sells hiking gear or sporting goods. Target has them for $5. Blaze orange hats are good too. Around Halloween, a lot of places sell bright orange trash bags that you can use as pack covers. Also try to avoid wearing brown or white gloves or socks that might be mistaken for the flash of a deer’s tail. Every now and then hikers do take a bullet. In 2002 and 2003, two hikers were shot in separate incidents on the Appalachian Trail. 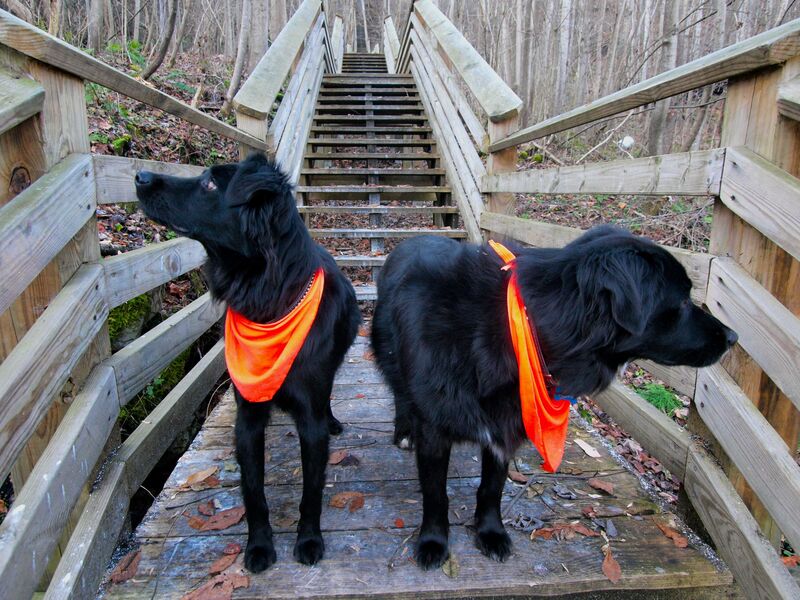 Neither hiker was wearing blaze orange and both hunters admitted they hadn’t clearly identified their targets. Both hikers lived and both hunters were prosecuted. Overall, however, hunting accidents involving hikers are rare; most incidents involve self-inflicted wounds or one hunter shooting another. Are you up here now? What a year to see the changing of seasons here in the Northeast AMAZING COLORS! Great article! Loved the blurb about you and the dogs modeling the attire. Very shopping channel-esque lol! As a Brit, I’m startled that people shoot bears with arrows! Yeah, disgusting practice. Very few people have the skill to stalk close enough to a bear to hit it with an arrow, but plenty of people try. I’m of the opinion the more bears the better! Knotrune, black bears statistically present little danger to humans, and they’re overwhelmingly taken from tree stands in archery season, not stalked. West Virginia reported 620 taken in 2011. All feelings about hunting aside, the Eastern U.S. is undergoing something of a population explosion of black bears. Damage complaints are dramatically increasing in areas that have been basically suburbs for over 50 years, and bears are sighted in areas where they were unknown just a few years ago. 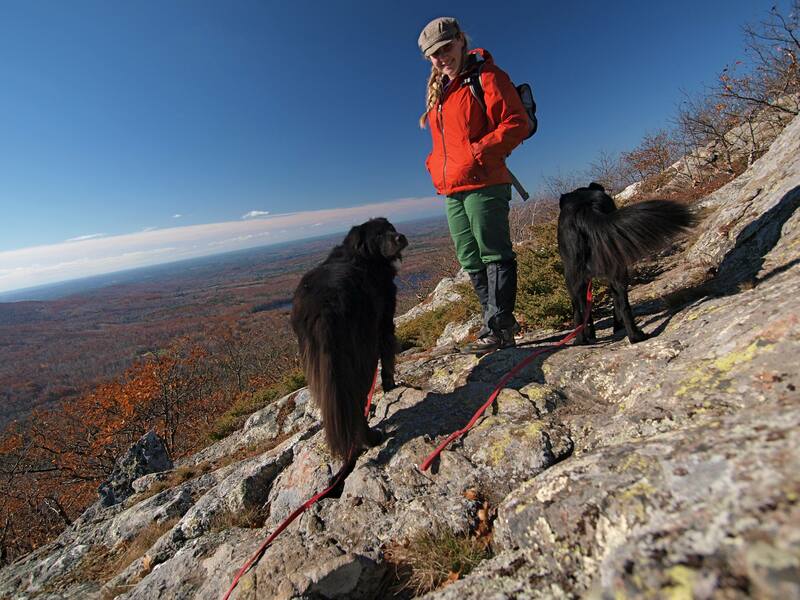 “The more bears the better” on the AT and in the woods, not so much in the back yard with the kids and the pets.